Here’s one for your “AuxBeacon Files” that should blow minds at just how much excrement the Civil Air Patrol leadership believes it can feed to the Air Force (Heather Wilson), to the American taxpayer and to its captive membership. A few days ago, my friend attended Civil Air Patrol’s low-turnout 2018 Southeast Region Conference at the Crowne Plaza Peachtree City, Georgia. He witnessed a pathetic Maj Gen Mark E. Smith award the CAP Silver Medal of Valor to Lobby Squadron member Lt Col Barry Loudermilk for a “revisionist spin” of his actions during the 2017 Congressional Baseball Shooting. By accepting Civil Air Patrol’s highest honor after admitting to running behind a concrete restroom to stay down until the shooter was neutralized, Loudermilk further devalued the award and himself as a patsy for those controlling him. All who live in Georgia’s 11th district can “hear” Hayden Collins rolling his eyes on the Hayden Collins Radio Show. CAP members have been angrily slamming both Smith and Loudermilk in a secret group and we hope that your site can amplify member outrage over this circle-jerk of a publicity stunt. In addition to the walk-through below and the photos from the conference, we are providing snapshots of the commentary. If you publish the comments please redact their usernames to protect all who helped us assemble this story. The 2017 Congressional baseball shooting took place on June 14th 2017 at Eugene Simpson Stadium Park in Alexandria, Virginia. By 6:30 am, 24 Republican congressmen had gathered at the park to practice for the next day’s Congressional Baseball Game for Charity, an annual and bipartisan tradition held since 1909. Three Capitol Police officers were posted behind the first-base dugout to protect House Majority Whip Steve Scalise. Practice had been underway for roughly 30 minutes when left-wing activist James T. Hodgkinson opened fire on the congressmen with an SKS rifle shortly after 7:00 am. By 7:09 am, the Alexandria Police received a report of shots fired and two of their officers arrived within three minutes to join the gunfight. Witnesses estimated that the entire event lasted about 10 minutes before Hodgkinson was shot by two Alexandria Police and two Capitol Police officers. Loudermilk also gave a detailed interview on that day that was published by the Atlanta Journal Constitution. In this interview, Loudermilk never mentioned any quick-thinking action on his part or any Civil Air Patrol training that helped in the events of the day. He stated very clearly that he ran and “jumped behind a shack that was there” and “behind a concrete restroom” and “stayed down” until after the shooter had been taken out by police. Loudermilk also stated that after the female officer was immobilized, it was the other male officer who “distracted the gunman to draw fire” from the rest of the [Congressional] members. 00:53 I’m running, I mean dirt is flying up by us from the bullets hitting the ground. 01:04 Some of the guys were diving in the dugout. Others got behind the dugout. 01:07 I went outside the field and jumped behind a shack that was there. Ummm. 01:44 Staff member Matt Mika… on the ground with a chest wound… was in bad shape. 02:01 another 30 to 40 yards behind us was a concrete restroom and most members got behind that. 02:16 and so we stayed down. 02:51 got hit by some shrapnel or something, but he stayed in the fight. 02:59 because every time we try to go out there he would shoot. The Atlanta Journal Constitution released Loudermilk’s interview on YouTube. On February 21st 2018, Loudermilk published his own video of an address he made on the Sixth Month anniversary of the shooting to congratulate others whose actions helped him and his comrades to safety. The many stories you have assembled here have very effectively exposed Air Force and Civil Air Patrol abuses of power and funds along with their intimidation and defamation tactics to conceal. While our self-serving national commanders (Bergman, Bobick, Bowling, Wheless, Pineda, Carr, Vasquez) have always been a disappointment, the real problem is the gradual degradation of commanders and staff at the unit level. The events you reported on Jonathan Holder come to mind. Following each period of mass-exodus, the squadron and group is where all the newly recruited replacements are trained. Progress in rebuilding is slowed now because these many sites allow new recruits to uncover CAP’s dirty history. The new recruits are floored to find that many of the same people who created the mess are still posing an active threat in the organization. What can CAP do to offset these losses after being repeatedly caught in fraudulent and unsafe activity? The more devious in CAP believe that their control over bits of ribbon, metal and words on paper allow them to fabricate alternate realities for both members and taxpayers using the military device of Perception Management. No joke here, Civil Air Patrol is using the nine strategies of Perception Management to manipulate new recruits just now entering their fold. If, during the shooting, Congressman Barry Loudermilk appeared to have acted only in self-preservation, perhaps CAP con-artists could use the techniques of Perception Management to paint a more profitable picture? Could they rewrite history and back-fit the details into a Silver Medal of Valor citation to make a hero of a benefactor with influence on CAP funding? If they tried, would the captive membership and the public actually buy it? 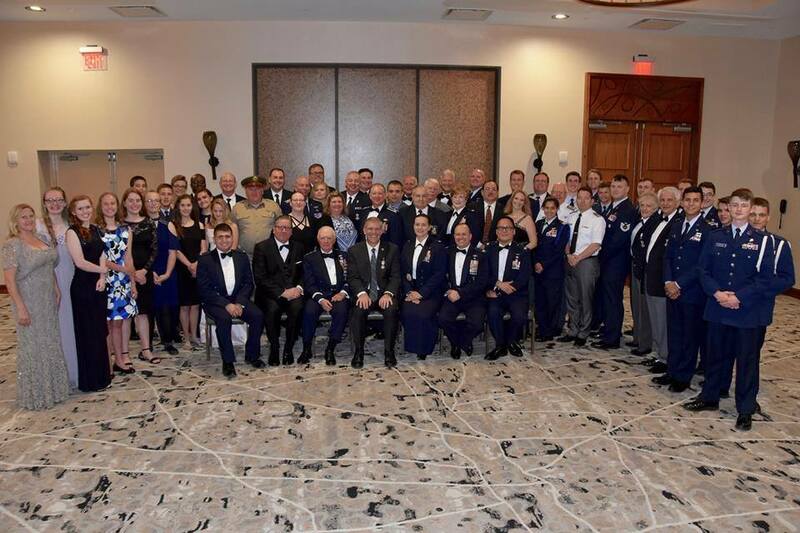 On June 2nd 2018 at the CAP Southeast Region Conference, both Civil Air Patrol and Loudermilk recalled a new, more inspirational CAP-spun story of his actions, but he never previously mentioned his Frostbite or any other CAP training until we all witnessed this pack of lies a few days ago. The citation accompanying the medal singled out Loudermilk’s actions during the assault for distracting the gunman from firing on a first-base dugout filled with lawmakers and others, as well as the legislator’s “support” of a wounded congressional staff member. 00:06 Lt Col Barry D. Loudermilk distinguished himself by conspicuous heroic action while risking his own life to save others on 14 June 2017. On July 27th 2017, President Donald Trump awarded five first responders with the Public Safety Officer Medal of Valor for their response to the 2017 Congressional baseball shooting. In this event, Civil Air Patrol recognized an opportunity to deploy their new skills in Perception Management to fabricate a better story for one of their influential own. They hoped that the membership and the public would swallow their creation without objection. Fortunately, it is not passing the smell test. 27 Comments on "Mark Smith & Rep. Loudermilk Disgraceful in Overt Publicity Stunt"
Have you noticed that all the scumbags flock together in the Smith administration. They are like Vultures on a carcass, fighting over the spoils. These people give themselves more awards than the Boy Scouts and we the tax payers foot the bill for these ridiculous honors. They are a total joke. And a total waste of money. I think Barry Loudermilk has been played into this. Bad form and actions not worthy of an award for heroic sacrifice. 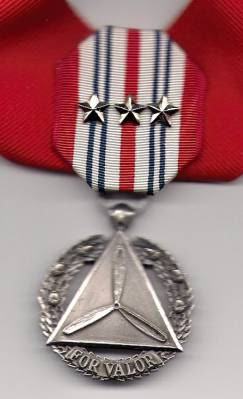 All victims cannot be spun into Medal of Valor heroes. This looks political to me as well. All of this begs the question, who is Barry Loudermilk working for? Us or his donors? Hey, you should know that a little while ago Representative Barry Loudermilk attempted to fix the panic of having deleted his original tweet on his Silver Medal of Valor Award. The #CivilAirPatrol recently presented me with its Silver Medal of Valor for “the events that transpired” during the baseball shooting in 2017 in Alexandria, VA. Thank you, @capnhq for this honor. “Suicide Prevention Training” is also “Suicide Facilitation Training” if understood and unethically twisted. I have read your articles on CAP as a Cult and on the recent CAP suicides, particularly Rex Glasgow and Tonya Boylan’s. When members of a chain-of-command driven cult like Scientology believe the defamatory gossip issued by commanders who must discredit those exposing them, the commanders are able to achieve a SHUNNING of the member who is exposing the abuse. When we shun members in our Civil Air Patrol cult for reporting Fraud, Waste or Abuse as required by the regulations, then what do we think might happen to those we shun? The command staff are the guilty ones, but they control the ribbons and challenge coins and appointments so they can effectively nudge the naive idealists to eventually BLOW THEIR BRAINS OUT. While Joe Knight III was noticeably absent from the 2018 Southeast Region Conference, I am astounded that Al Bedgood has survived as a useful tool to conduct unpleasant member termination hearings for those who would avoid the muck. That Richard Greenwood has escaped to stain Congressman Barry Loudermilk and Mark Smith seems a fitting outcome, however. Barry Loudermilk was an unfortunate VICTIM on that ball field, and there should be empathy for that. However, he is not a Medal of Valor winning hero who risked his life above and beyond the call of duty to save any others. Expect most will agree with you, some publicly but some only privately. We’d like to assist your authors in exposing CAP corruption in Alabama and Georgia. This article just came out in the New York Times and quotes Barry Loudermilk totally contra to his acceptance of a Silver Medal of Valor Award. 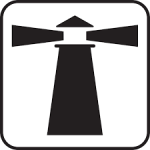 Your AuxBeacon team is spot on here. Nice job. When Mr. Loudermilk visited a shooting range months after the attack, he heard gunshots and rushed back into his car. This is a big screw-up that cannot be undone. It is going to leave a mark. DoEchelon’s JDAM struck its target. See here or check your email. You conspicuously neglected one National Commander, s’up with that? Another brilliant Richard Greenwood Production? Show the public this photo of Richard Greenwood presenting Slick Barry with a SMOF challenge coin. Smells more like a Greenwood-Shaw production gone very, very wrong. It was actually Jim Shaw who created MOVA: Medal of Valor Association. Who is the guy in the brown WW2 era uniform in the group photo? Good article. The sucking up to these weavers of half-truths and lies in ribbon form is precisely how our program got into this humiliating state. There are no such shortcuts on the path back to honor and competence. NOTTHEWAY, what do you mean by “sucking up” in your comment about perception management? This complete disaster of a stunt only heaps more scrutiny on the Civil Air Patrol Legislative Squadrons and their clever game of influence and lobbying. God is gonna cut you down. Barry Loudermilk did not heroically give comfort or apply first aid during the shooting incident to meet the standard of this award. I had to look up Civil Air Patrol Frostbite, which is a cold weather Search and Rescue Exercise conducted in the North Georgia Mountains. It was easy to find, but you can help the readers by adding some explanation text. It might also help to add that portion of the transcript for the award ceremony video where Loudermilk struggles to connect his Civil Air Patrol training with his actions during the shooting. I agree that this looks like another manipulative use of the award. We are not writers, we are volunteers. In fact, we had help writing this. Anything other members, ex-members or the editors here need to do to improve the article is okay by us. DoEchelon, you did a good job with an unpleasant task. Your walk-through and the comments members are providing make connections that have opened a floodgate of new exposure on these people. We just submitted a related article that we hope AB can vet and release soon. The “many believe” portion of the citation is a clue to recognizing what this is. Barry Loudermilk wraps himself in the Flag and Jesus, but he is an unenlightened buffoon who is too easily entangled. He paid-off Ethel Blackmon $80,500, on the condition that she was to keep quiet about the details of the settlement. Barry should know better. What you have said in the dark will be heard in the daylight, and what you have whispered in the ear in the inner rooms will be proclaimed from the roofs. Spirit of the Code: Do the right thing and live honorably. Hans Christian Andersen wrote a tale about two perception management weavers who promise their emperor a new suit of clothes which they say will be invisible to those unfit for their positions, stupid, or incompetent. In reality, they make no clothes at all, making everyone believe that the clothes are invisible to them. When Emperor Barry Loudermilk parades before his subjects in his new “clothes”, no one dares to say what they truly see out of fear.